Tomorrow, 31 December 2016, just before midnight, an extra second will be added to the Universal Coordinated Time (UTC)! It is called a leap second. Probably everybody will be familiar with the concept of a leap day . A year in the international calendar has 365 days, but the solar year is a bit longer, 365.25 days. To keep this calendar synchronised with the solar year, every four years an extra day (29 February) is added to the calendar, a leap day. 2016 was a leap year, the next one will be 2020. For those not familiar with UTC, it is the primary time standard by which the world regulates clocks and time. It is basically the solar time at 0° longitude, with the solar day as fundamental unit. The 0° meridian passes through Greenwich, therefore UTC is sometimes called Greenwich Mean Time (GMT). The world has been divided into 24 time zones, they are defined as UTC plus or minus a number of hours. For example Malaysian time is UTC + 8. So, the UTC is based on the (solar) day and a day is 24 x 60 x 60 = 86400 seconds, right? Why do we need to add a leap second? The answer is simple, but may surprise you. A (solar) day is not exactly 86400 seconds! It is only a few milliseconds every day, but it accumulates! Therefore it has been decided, in 1972, to add an extra second to UTC, when this accumulated deviation gets more than 0.9 second. 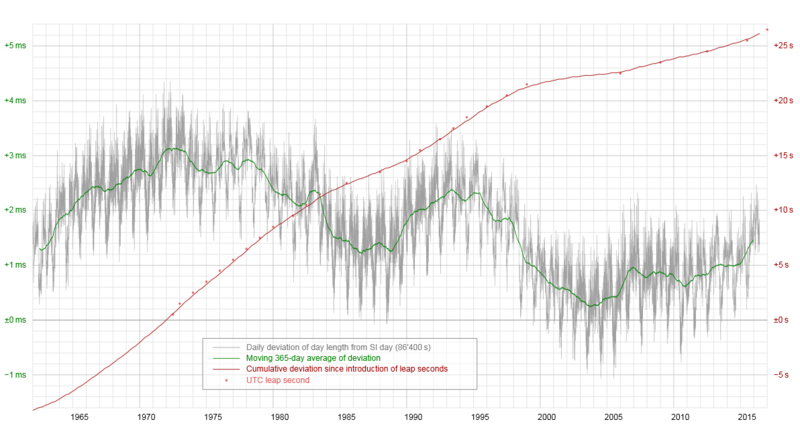 The red graph shows when leap seconds were inserted. As you see, the deviation from 85440 seconds is quite irregular and actually not predictable. That’s why the leap seconds are announced only 6 months in advance. Why are the deviations always positive? That has an interesting, physical, reason. It is because of the moon! The moon is responsible for the tides, causing friction! 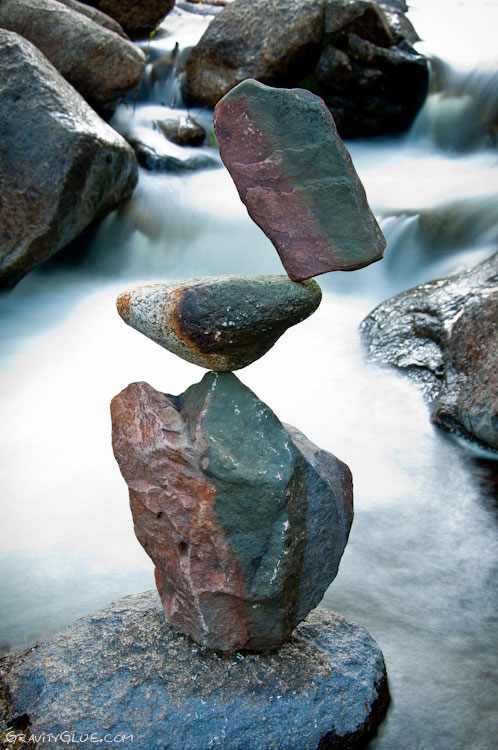 This friction slows down the rotation of the Earth! It is a small but real effect, the solar day increases about 1.4–1.7 milliseconds per century. 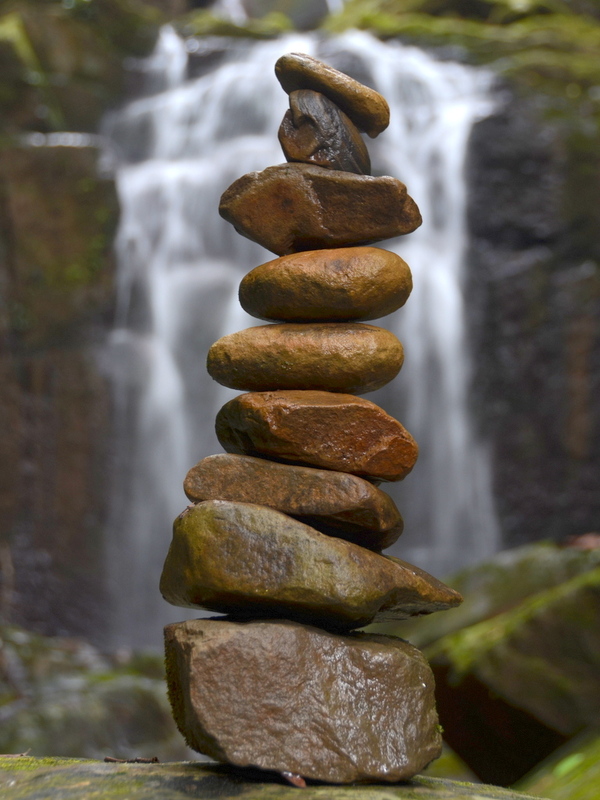 There is geological evidence that about 500 million year ago, the length of the day was shorter, ~ 22 hours. These tidal forces and eventually tidal locking might be an interesting. topic for a separate blog. In Malaysia (UTC + 8) the leap second will be added on 1 January. 07:59:59 should not be followed by 08:00:00 but first by 07:59:60. After the (tentative) discovery of the Higgs boson earlier this year, it was generally expected that the 2013 Nobel prize for physics would be awarded to the theoretical physicists who, fifty years ago, postulated the concept of a particle that would give all the other elementary particles their mass (ok.. this is a bit of a simplification, lol). And so it happened. 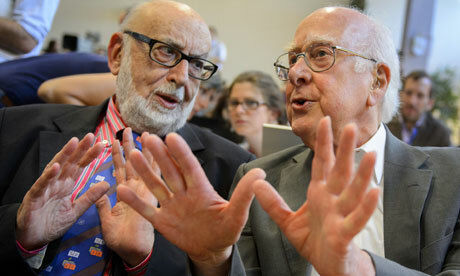 On 8-10-2013 the Nobel committee awarded the prize to Peter Higgs and François Englert. François Englert? I had never even heard about this man! Here they are, Englert (Belgian) to the left and Higgs (British) to the right. I was intrigued and started surfing and reading. Not about the theoretical background, that is way to complicated for me. I was interested in the human aspects. The result is this post. In the second half of the last century, physicists all over the world were trying to build a model for the fundamental forces in nature. This resulted in what now is called the Standard Model. 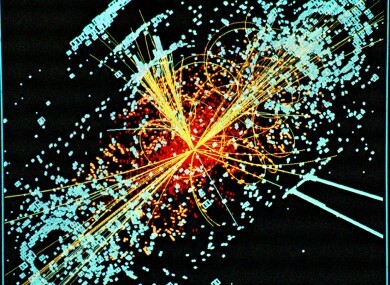 See my post God’s Particle for (a little bit) more information. When a physicist finds something new and interesting, of course he wants to publish it. 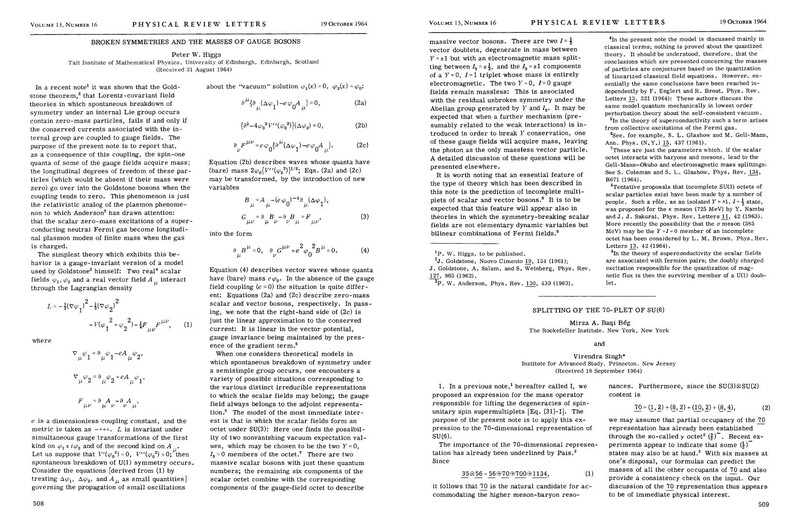 For example in the Physical Review, one of the leading physics magazines. As it was peer-reviewed, it could take easily half a year after submitting your paper before it got published. 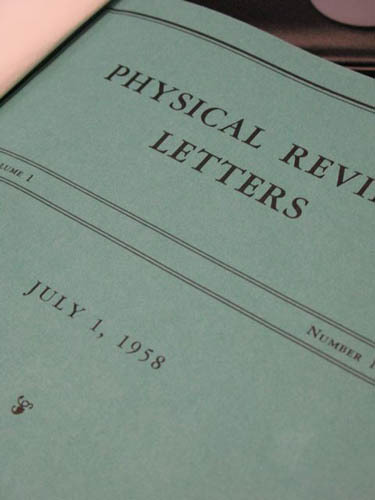 Therefore it was decided in 1958 to create Physical Review Letters, a weekly journal meant for short contributions. 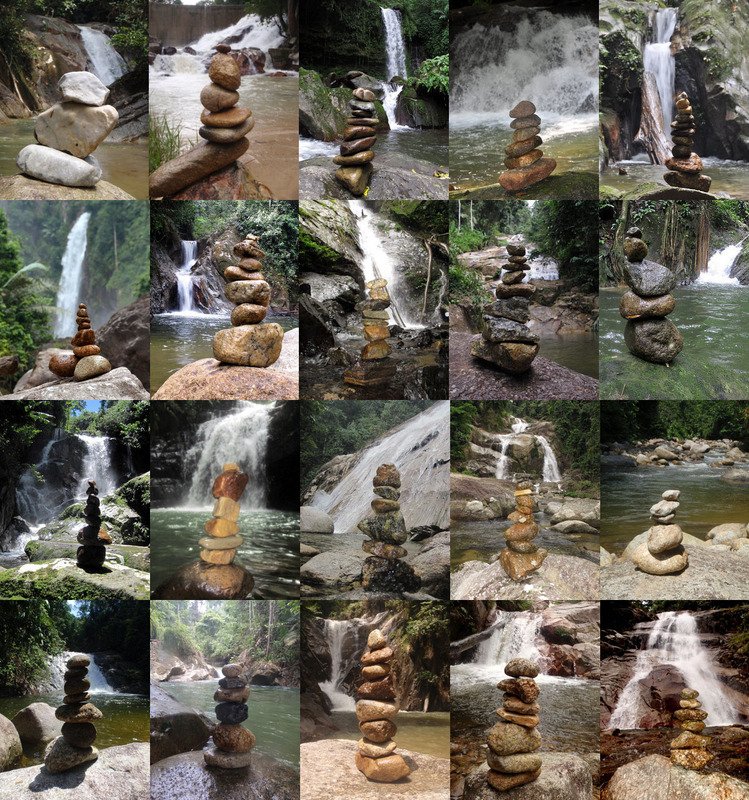 Time between submission and publication a couple of weeks only. When I was doing my PhD research, there was always a copy of the Physical Review Letters in the library of our institute, available for perusal. And it was a dream for many young scientists to publish something in this highly valued journal. So what about Englert? Well, he and Robert Brout (Belgian American) had published a few weeks earlier, in the same magazine, an article with the title Broken symmetry and the mass of gauge vector mesons ! Submitted June 26 and published August 31. Comparing the titles you probably will accept, even without any understanding, that the two contributions basically cover the same ground! And that is not all. A third article was published a few weeks later, again in the same journal. Thomas Kibble (Imperial College, London) had been studying with two American guest scientists, Gerard Guralnik and Carl Hagen, the same problem of symmetry breaking and mass, and come to similar conclusions. Their paper was submitted on October 12 and published November 16. Three papers within three months. Independent research, no doubt about that, it was just that the time was ripe for it…:-). There has also been recognition by the physics community for all six authors. 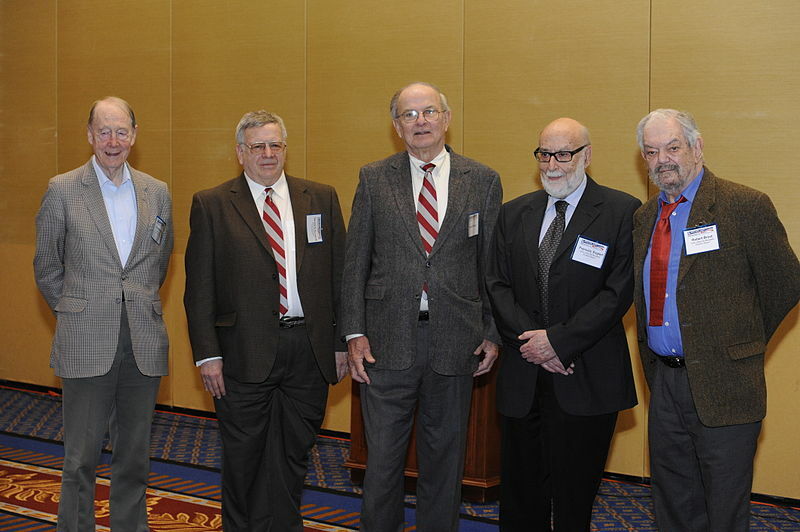 Three years ago the American Physical Society has awarded the prestigious Sakuarai prize to them. From left to right: Kibble, Guralnik, Hagen, Englert, Brout. Is it on purpose or accidental that Higgs is missing…:-)? 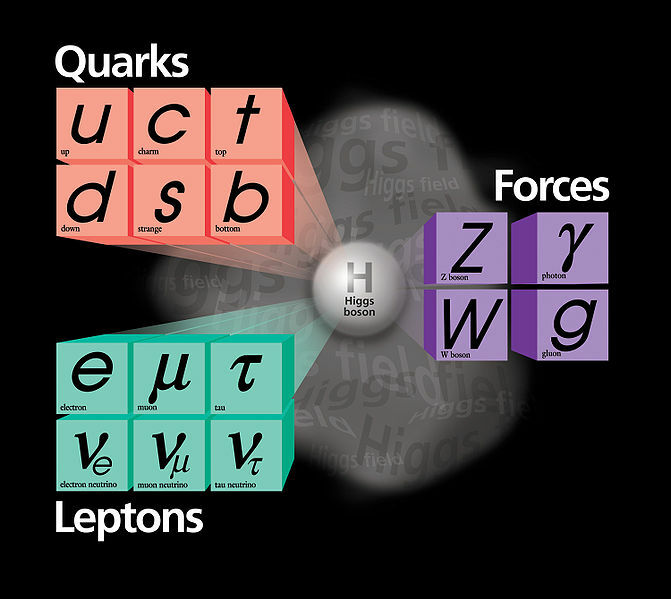 In the years after publication, when the Standard Model was developed, it became customary to talk about the Higgs boson, the Higgs field, the Higgs mechanism. Not really fair to the others, although Higgs was not to blame for that. Abdus Salam, one of the fathers of the Standard Model, used the name Higgs-Kibble boson, but it did not catch. Recently, when it became clear that a Nobel Prize was coming, the discussion started again and became a bit less friendly. In a 2012 physics conference there was a directive that in contributions the name Higgs-boson should be avoided and replaced by BroutEnglertHiggs boson or by SM Scalar boson ! It caused a bit of an uproar, many physicists objected. Even in these alternatives the work of Guralnik, Hagen and Kibble remains invisible, so there was also a suggestion to rename the Higgs boson as BEHGHK boson. (the initials of the six authors). A Nobel Prize can be awarded only to people who are still alive and to a maximum of three people. That is the rule. So, what would the Nobel Committee decide? One option would have been, to choose one person in each of the three groups. Brout passed away two years ago, so the choice for the first two groups would be simple: Englert and Higgs. But what about the Imperial College group? How to choose between Kibble, Guralnik and Hagen? I have read somewhere that this year the meeting of the committee about the Physics Nobel Prize took longer than usual…:-) Finally it was decided to leave the third paper out and award the prize to Englert and Higgs. I think that Kibble will be phlegmatic over the outcome. Not so sure about Guralnik, Hagen will be disappointed. I find them extremely, almost unearthly, beautiful. 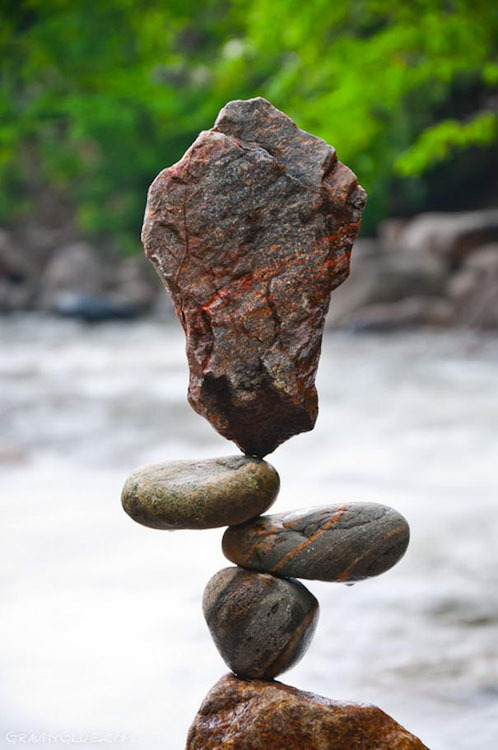 They seem to defy gravity, although as a physicist I understand of course that it is gravity which keeps the pieces of rocks in place, at least temporarily. You can find more YouTube videos on the Internet, for example this one. Although I do not share his philosophy, I admire his patience and perseverance. The Nobel Prize for Physics in 2011? But that is long ago, the Nobel Prize 2012 has already been awarded and in October the winners of the 2013 prize will be known! Yes, this post is long overdue, I know 🙂 Every year I am interested, being a physicist myself, who will get the Nobel Prize for physics and for what . And nowadays often I have no idea what it is about :-(, being out of touch with the modern developments for so long already. 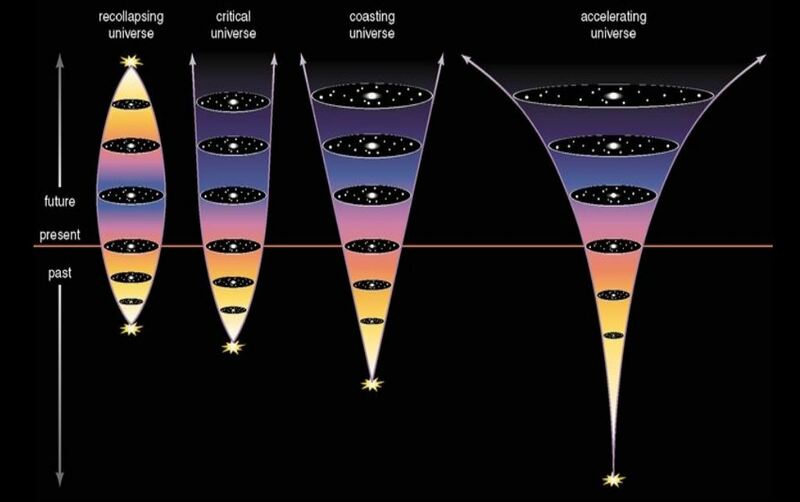 So I was quite happy that I understood the importance of the discovery made by Perlmutter, Schmidt and Riess in 1998 that our Universe is expanding at an accelerated rate. Of course you have heard about the Big Bang, the primordial explosion that created the Universe, about 14 billion year ago. As a result of this explosion the Universe is expanding and also cooling down. Proof: when we look at faraway galaxies, we observe that they are moving away from us and each other, the farther away the faster they move. And in 1956 the Cosmic Background Radiation was discovered, proof of the cooling down of the Universe. When I was doing my PhD research, in the seventies, the Big Bang theory was widely accepted. And also that the rate of expansion should decrease with time because of the mutual gravitational attraction between all matter in the Universe. If the Universe contained enough mass, the expansion would finally stop, followed by contraction and ending in what became known as the “Big Crunch” where the whole Universe would again be concentrated in a single point. And might even start again in another Big Bang! An attractive idea in those hippie days! The problem was that when you counted all the visible mass in the Universe, there was just not enough to stop the expansion. It was named the “missing mass problem”. Would it be possible to determine experimentally which scenarios was the correct one? To measure the rate of expansion, you should measure the velocity of very faraway galaxies. Measuring the velocity is not that difficult, you have to measure the Doppler shift. When an ambulance passes you, you will first hear a higher sound of the siren, and a lower sound when the ambulance is moving away from you. For light it is basically the same, here you will see a difference in colour. When a star or galaxy is approaching is, the colour is a bit bluer, when it moves away it will be redder. Measuring the “redshift” gives us the velocity. So if you know how “strong” the light source itself is, you can determine the distance by measuring the amount of light at that distance. But how do we know how much light a star really produces? In general that is impossible, because you have big bright stars and small, not so bright stars. 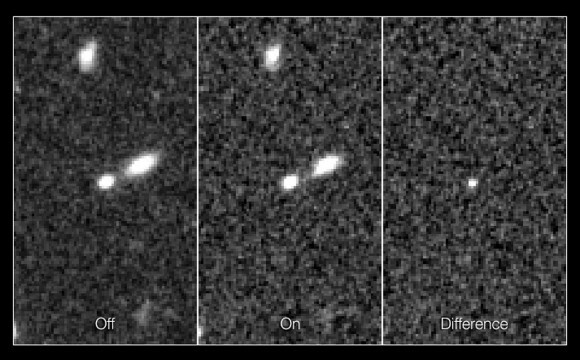 What the Nobel Prize winners did was looking at very special events, so-called (type 1A) supernova’s. A supernova is a star that explodes at the end of its life. During a few days/weeks it can produce more light than a whole galaxy. And the intensity of this light is basically the same for each supernova explosion (of type 1A). They are extremely rare events, it is estimated that in our own Milky Way they occur only a few times in a century! But when they occur, they are so bright that they can even be observed in very distant galaxies. And there are so many galaxies. Finally we can now explain the research done by the (competing) teams of Perlmutter and Schmidt & Riess. They looked for type 1A supernovas in distant galaxies and determined the distance and the velocity. To show you how complicated this kind of research is, here is an image of a recent supernova discovery, SN Wilson. 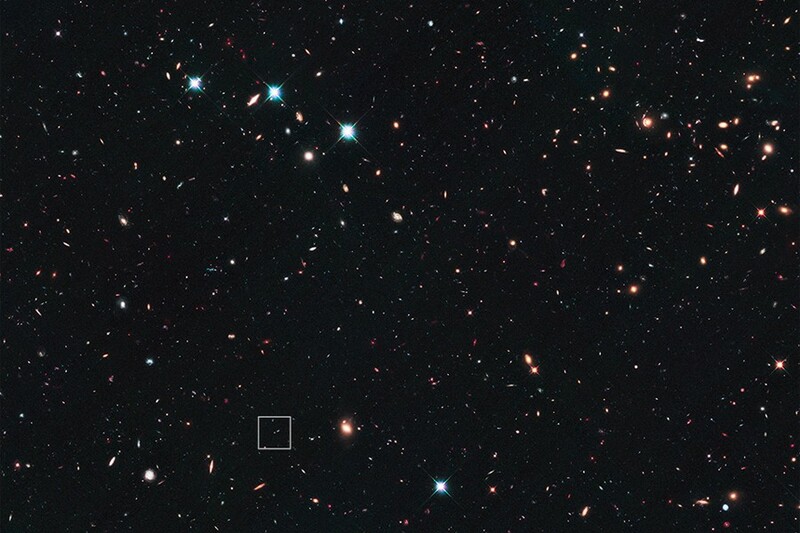 In this image a few bright points are stars, but many are galaxies. The tiny square contains the galaxy with the supernova. Here are three enlarged images of this tiny square. The galaxy is the round spot in the center. Left image shows the situation before the supernova exploded, in the middle one the supernova has exploded. You don’t see any difference? Let the computer “Subtract” the left image from the middle one and you get the image to the right! Voila, the supernova ..:-)! These images, taken by the Hubble telescope were taken by the team of Riess in 2010. The distance is 10 billion light year, which makes this galaxy the most distant one, observed until now. As the light of this galaxy needed 10 billion years to reach us, we observe it now as it was 10 billion years ago! Looking far away means looking in the past. 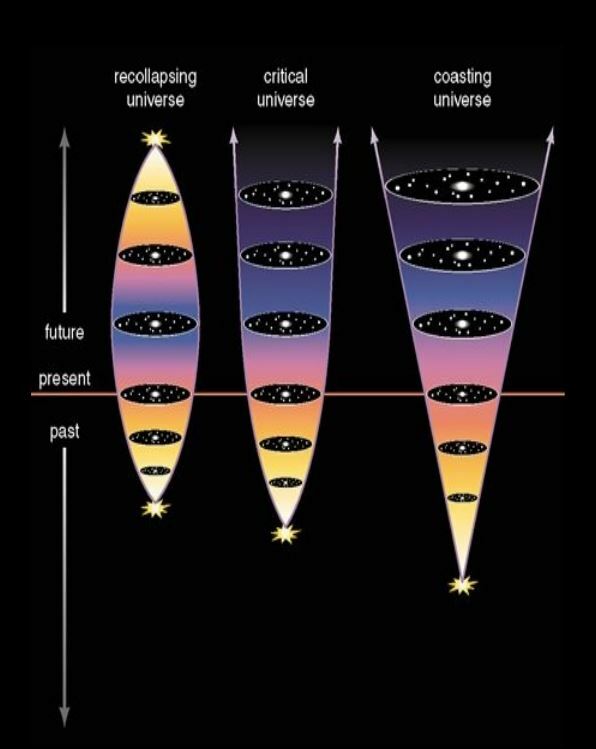 The scientists expected to find that in the past the expansion of the universe would be faster than it is now, as explained in the beginning of this post. What they actually found, shocked the scientific world: the expansion of the Universe was accelerating . It was so unexpected that it was very fortunate that two research teams came to the same conclusion. So there had to be a repulsive force, stronger than the attractive force of gravitation. This repulsive force is now named “dark energy” but we still have no clear idea what it is. It is for this discovery that the two teams shared the Nobel Prize. The three scenarios, mentioned above are all wrong. It is the fourth scenario, shown below, that we now believe to be correct. There is even a possibility that this acceleration will increase so dramatically with time, that the Universe would end in a Big Rip, where finally, stars, planets, even atoms would be ripped apart. Much progress has been made since 1998, especially in the analysis of the Cosmic Background Radiation. It has confirmed that there is a repulsive force, now named “dark energy”. 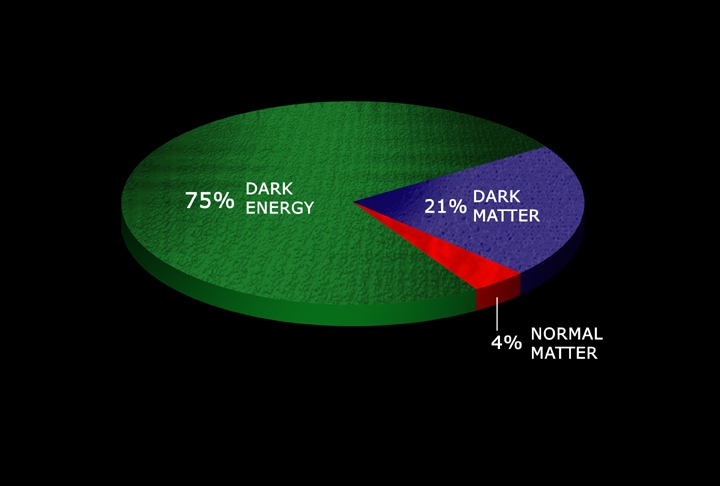 It has also confirmed that there is a lot of invisible matter in the Universe, now called “dark matter”. In both names “dark” describes our ignorance, at the moment we just do not know what they are. I am planning to write a separate post another time about this topic. 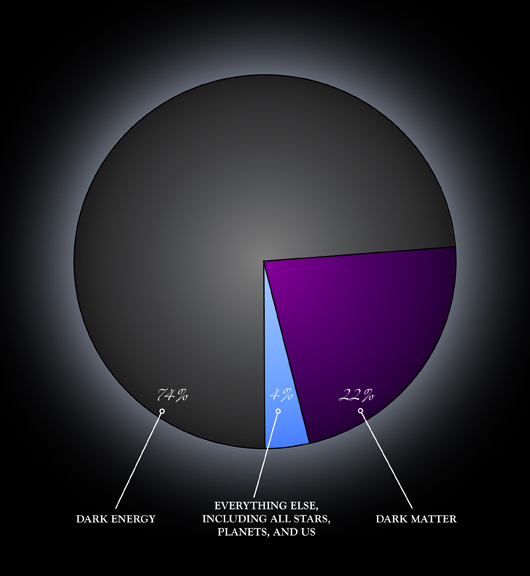 Let me end this post with an image that gives the distribution of “normal” matter, dark matter and dark energy in our Universe. I have seen this kind of picture numerous times, and I still find it shocking. The stars, the planets, humans, everything is made of normal matter: protons, neutrons, electrons. We know a lot about it. But it is only 4% of our Universe. About the other 22+74 % we know next to nothing at the moment! Several images above have been taken from this very interesting set of lecture notes. 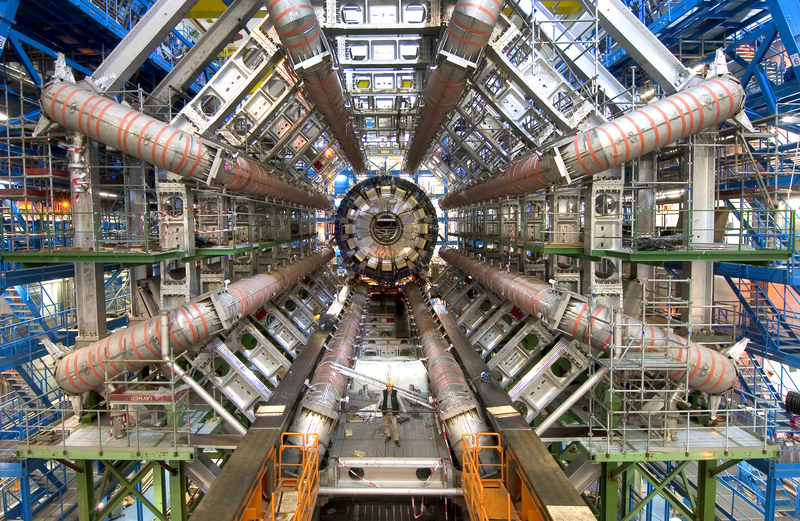 About three months ago CERN has announced the discovery of the Higgs boson, a.k.a. the God Particle. Several of my friends have asked me if I, being a physicist, could explain what it was all about. I tried, but it was not easy. In the 19th century it became increasingly clear that matter is composed of molecules, and that molecules themselves are composed of atoms. Only a limited number of different atoms exists, ninety occur in nature, quite a few more have been made in laboratories. Imagine the tremendous simplification, everything around us is composed of these building blocks! 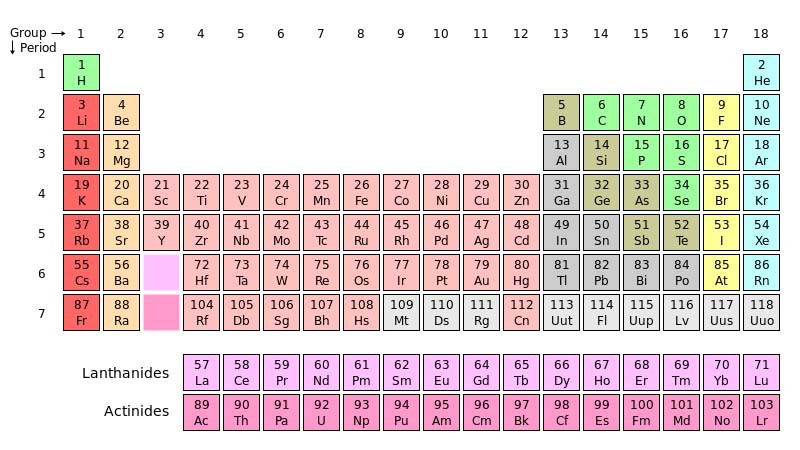 The periodic table of elements. Uranium (92) is the heaviest element found in nature. Promethium (61) and Technetium (43) are radioactive and not found in nature, giving a total count of 90 elements occurring naturally. Actually two more particles had to be added to the list. 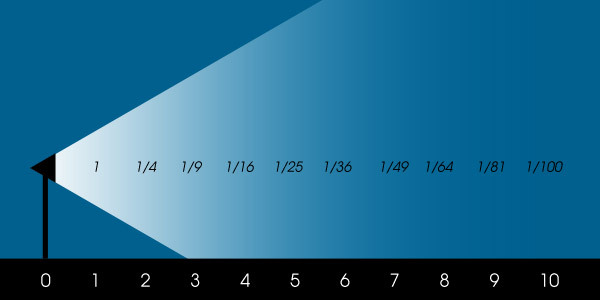 Light also consists of particles, called photons. And some of the elements are not stable but radioactive, the nucleus can send out an electron and at the same time another particle, called neutrino. Everything controlled by four forces. The strong nuclear force, keeping the protons and neutrons in the nucleus together, the electromagnetic force, keeping the electrons in orbit, the weak nuclear force, responsible for the radioactivity and, finally, the force of gravitation. But this is not the end of the story, soon it became more complicated again! In cosmic radiation, and also in laboratory experiments (using powerful accelerators to let elementary particles collide), new particles were discovered. 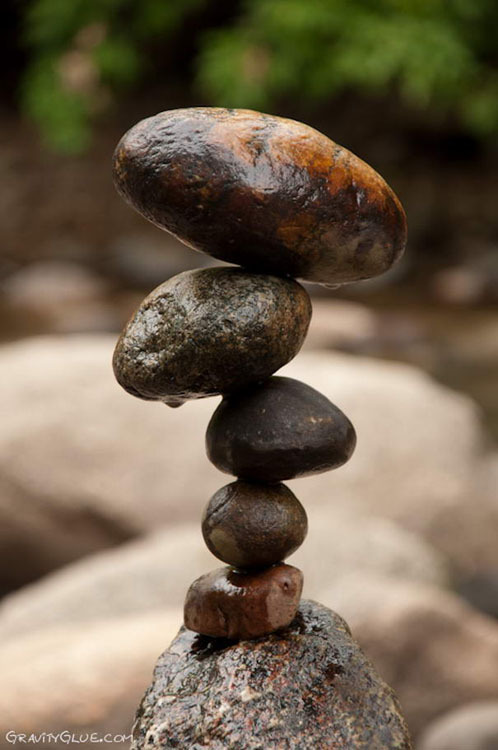 Not stable, often only living for split seconds, before decaying in other elementary particles. They were named muons, pions, hyperons, a confusing multitude. It was discovered that protons and neutrons were actually NOT elementary particles, but that they were composed of “quarks”. Not just one, but several families of quarks. Bound together by “gluons”. And the electron and the neutrino were accompanied by other particle families, the muon electron, the tau electron, with corresponding neutrino’s. The strong nuclear force is actually the force between the quarks, with three quarks forming a proton or a neutron. It has also been discovered that the elementary forces are carried by “force particles” and that the photon is actually the force particle of the electromagnetic force. One of the big successes of the last decades, was the experimental observation of the “weak nuclear force” carriers, the W and Z bosons. Much more complicated than the simple “proton-neutron-electron” model, but definitely one of the most impressive results of modern physics. One problem remains. All these particles, the quarks, the leptons, the force particles, have mass. Some are heavy like the quarks, some are light like the leptons, the photon has no mass, the neutrinos almost nothing. Why? In 1964 Higgs and a few others came with a theory. There might exist another force field, permeating the universe, acting as a kind of “syrup”, slowing down other elementary particles and in that way giving them inertia ( = mass!). But if that field existed, it should have its own force particle, the Higgs boson. Nicknamed the God particle, because it gave mass to all the other particles. The theory was widely accepted, so the search for the Higgs boson was on. A fierce competition resulted between CERN and the Fermilab in USA. It now looks like it has been found. With a mass about 130 times the mass of the proton. And so short-lived that I have not even been able to find an estimate on the Internet. So you have to look at the traces it leaves behind when it dies. Here is an artist impression. And here is a picture of the experimental setup at CERN (the ATLAS experiment) Try to spot the human figure in the picture! This is ATLAS, one of the four experiments at the Large Hadron Collider of CERN. 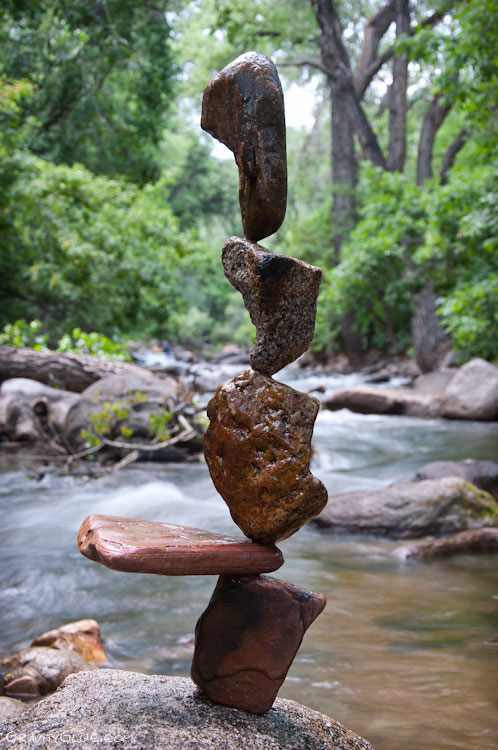 Is our understanding of the physical universe now complete? No way! As mentioned before, there is still the problem left to combine the Standard Model with gravitation. Maybe string theory, but not everybody is convinced that this will be the solution. There is a much bigger challenge. During the last decades it has become convincingly clear that there has to be more in our universe than quarks, electrons, photons, etc. Let’s call this “normal matter”. From what we know about the Big Bang and from the way our universe is expanding after the Big Bang, we now are sure that there are two more constituents of our Universe. There has to be “Dark Matter“, until now invisible. And there has to be “Dark Energy“, a repulsive force that actually accelerates the expansion of the Universe. That’s about all we know at the moment. 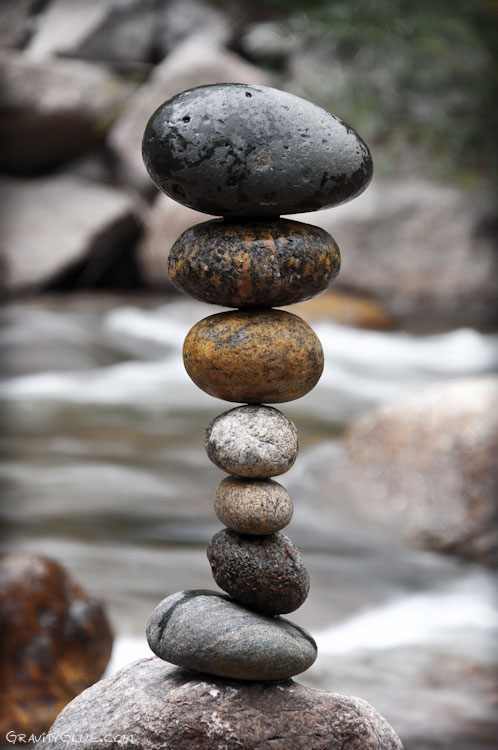 A small correction to the Standard Model? Absolutely not! Here is the present estimate. Normal matter takes only 4% (!). The rest is basically unknown at the moment! We know a lot about the 4% normal matter and next to nothing about the rest! A sobering thought. But also exciting. There is still a lot to discover and explore in our physical universe. And for the ambitious among you: a lot of Nobel Prizes to win!